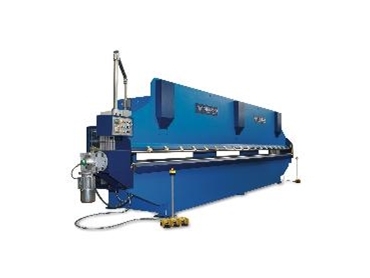 Italian company Stilmec 90 produces the ESG class of gutter roll forming machines, which is an innovative range of gutter machines for the production of half round gutters with traditional profiles and widths ranging from 280, 333 and all the way up to 400 mm. The new patented technical solution has allowed the remarkable reduction of the machine overall dimensions, while also guaranteeing top quality products in many of the commonly used guttering materials including copper, zinc-titanium, pre-painted metal, zinc, stainless steel and aluminium. Speed and easy use, reduced management costs and absolute reliability also characterise the brand-new ESG guttering making machine. According to Ken Christensen, managing director of Power Machinery , the exclusive distributor of Stilmec 90, the benefit of using the Stilmec 90 machines is their ability to produce any number of curved lip profiles now commonly used in the manufacture of modern guttering and the fact that these machines can do this with the minimum of handling. “Unlike many other roll forming machines used in the architectural space, the Stilmec 90 machines roll, form and curl the guttering to whatever profile is required all in one sheet run, without the need for double-handling or the use of an extra piece of machinery”, says Mr. Christensen. “In many ways, Stilmec 90 is not only a cutting-edge piece of technology—it is also a money and time saving machine as well”, he says. Furthermore, notes Mr. Christensen, the Stilmec 90 machines can be programmed to work on just about gutter radius required and manufacture lengths of up to 8 metres if required, giving them an advantage in terms of speed and cost-effective manufacturing”. “These days”, says Mr. Christensen, “guttering can come in a multitude of unusual shapes and sizes and having one machine that can do it all, including adding the curved lip profile onto the gutters in the same production run is a big bonus”. For those that require peripheral guttering product solutions, Stilmec 90 offers a line of machines complementary to the gutter ones that are specifically devoted to the machining and production of gutter supports. Ken Christensen notes that when it comes to making aesthetically pleasing, challenging and cost-effective guttering, the Stilmec 90 range of gutter forming machines is simply, “the best in the world”.